Deadline reports that comedian Chris Rock is in negotiations to return to the director’s chair for the upcoming Kevin Hart-starring comedy Co-Parenting at Universal Pictures. RELATED: Chris Rock Will Headline FX’s Fargo Season 4! Based on an original idea by Rock and Hart, penned by Black-ish‘s Yamara Taylor and produced by Girls Trip‘s Will Packer, the story follows a stay-at-home dad kicked to the curb by his CEO wife and the grueling divorce and custody battles that ensue afterwards. Packer will produce the film through his banner, Will Packer Productions, while Hart will produce with his Heartbeat Productions partner John Cheng and Rock through Chris Rock Enterprises. Co-Parenting marks the eighth collaboration between Hart and Packer since their 2012 start with Think Like a Man, followed by 2014’s Ride Along, Think Like a Man Too and About Last Night, 2015’s The Wedding Ringer, 2016’s Ride Along 2 and this year’s Night School. Rock, who was last seen in his sixth collaboration with Adam Sandler in Netflix’s The Week Of earlier this year, would be sitting in the director’s chair for the fourth time in his career if he signs on to the film, with his previous efforts including the 2003 and 2007 comedies I Think I Love My Wife, both of which were negatively received, and 2014’s Top Five, which received widespread acclaim from critics and audiences alike. Hart will next be seen in the American remake of the acclaimed French dramedy The Upside alongside Bryan Cranston (Isle of Dogs), and is currently working on the sequels to the 2016 animated family adventure The Secret Life of Pets and the 2017 hit Jumanji: Welcome to the Jungle. Rock just recently wrapped production on the remake of Dolemite starring Eddie Murphy in the titular role and will star in the upcoming fourth season of FX’s Fargo. 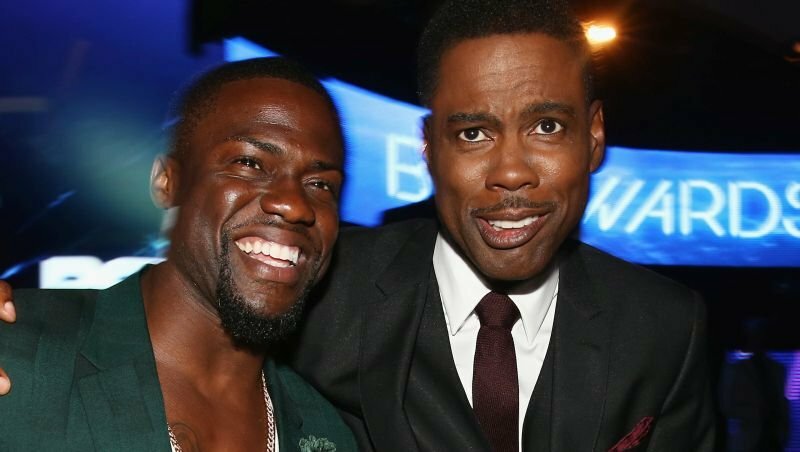 The post Chris Rock Signs On To Direct Kevin Hart In Co-Parenting appeared first on ComingSoon.net.